Widely popular in Eastern Europe, Vodka is a colourless potato- or grain-based spirit that can trace its history as far back as the Middle Ages. Traditionally it is taken straight. Vodka's neutral qualities also make it the perfect mixer for cocktails including the Screwdriver, Bloody Mary, Cosmopolitan and Long Island Iced Tea. Send the Russian Extreme Vodka Trunk of Stolishnaya Red 40% 70 cl. in a beautifully adorned hand-finished exclusive gift basket as an enticing treat to your receiver. This Russian Extreme Vodka Trunk will contains of Stolishnaya Red 40% 70 cl. 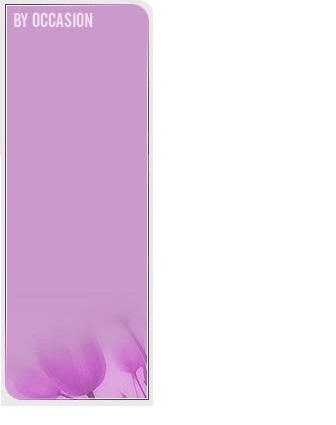 and will be prepared by our talented designers. It will contain additional 5 Russian delicacies including the world-famous red caviar. One thing is sure that your recipient will be astonished after receiving the Russian Extreme Vodka Trunk. It is designed to triple your recipient's delight! Give joy to your loved ones by sending them this gift from your heart. Life is very short so show your emotions with your actions. Note: In this photo the exclusive gift consists of Stolishnaya Red 40% 70 cl. 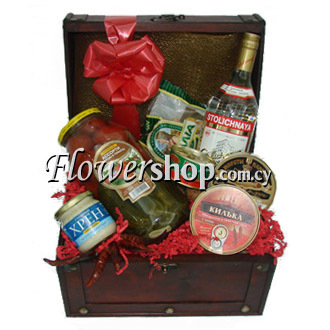 Stolishnaya Red 40% 70 cl., an elegant hand-finished gift basket, 5 Russian delicacies including the world famous Russian red caviar. Any additional item you choose from the options below.